Art-Studio in the (tiny) HOUSE! Five years ago I took a workshop in Brooklyn about financial literacy for artists. It changed the way I think about money as an artist in an expensive city like NYC. The workshop, given by Art Home stated that banks and credit cards work for YOU…NOT the other way around. This was very formative for me and a provided a fresh take on the ‘starving artist’ paradigm and I have kept the notes I took from that day. A year ago, a friend introduced Sarah and I to Esther Robinson, the presenter of those workshops and she’s still at it. 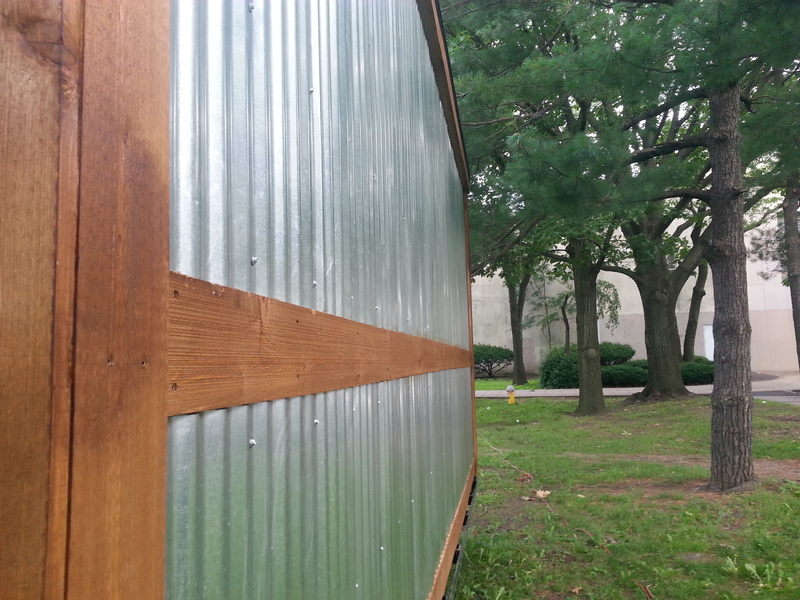 Teamed up with Guy Buckles of ArtBuilding, (who is responsible for the designing and building of the Elizabeth Foundation– which is the largest subsidized workspace for artists in ny) they were looking to talk to artists who were building their own spaces, with a particular interest in tiny houses as artist-studio urban infill. One thing lead to another and Sarah and I ended up writing a white paper on tiny-spaces, which covered topics from design, technology and site specific implementation for NYC. Some of these chapters we’ve re-purposed here and here on SeedsWithWings . After working full-time designing and building under the expert eye-of-Guy for the better part of a year, they did it! 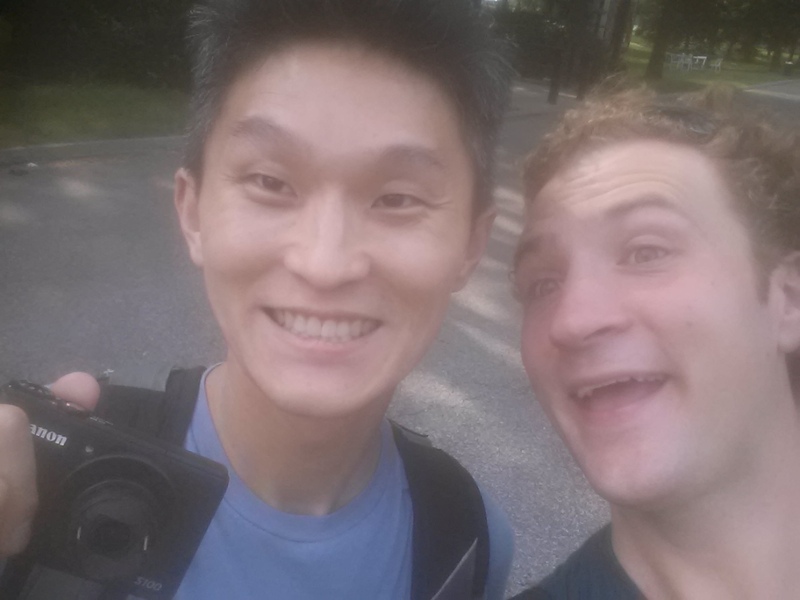 Last week my friend Young and I and went out to Flushing Meadows-Corona Park, Queens to see the new Tiny Art Studio (which in NYC might just be redundant). 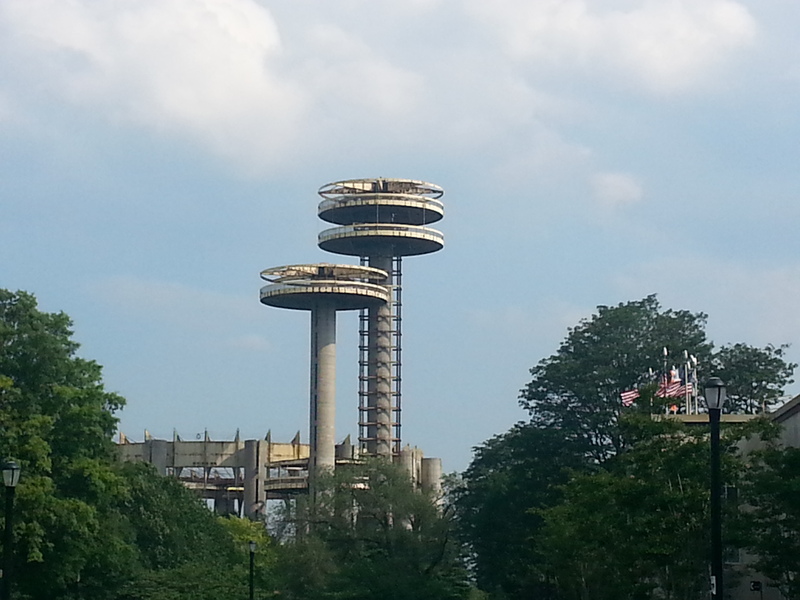 Anyone ever see Men In Black? Arthur Ashe Stadium behind the 7 trains. Even though I neither built nor conceived it, I felt very proud when I saw this little beauty sitting on the lawn in front of the Queens Museum. 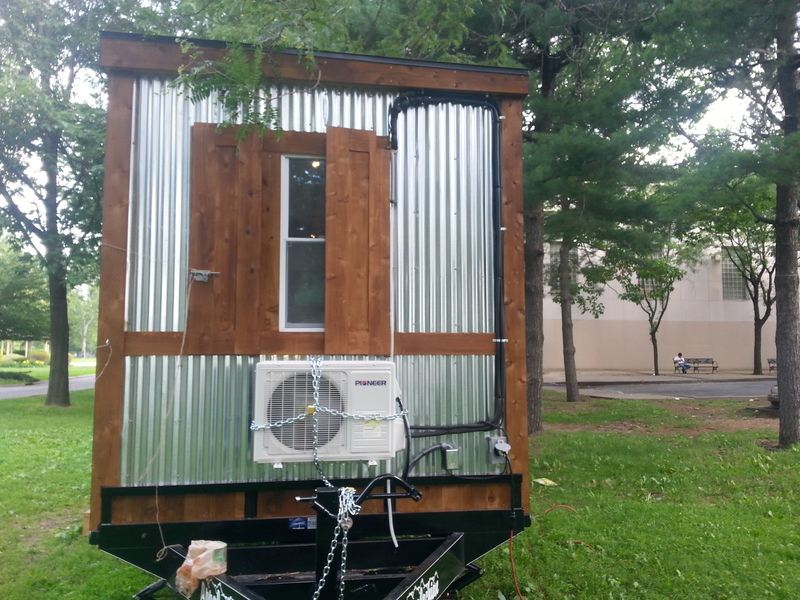 These are “small mobile workspaces that let artists, social-service providers and micro-businesses work in new ways and in new places.” Art Built Mobile Studios has partnered with the Queens Museum, Corona Park and Patrick Rowe of Mobile Print Power to support the community around them. 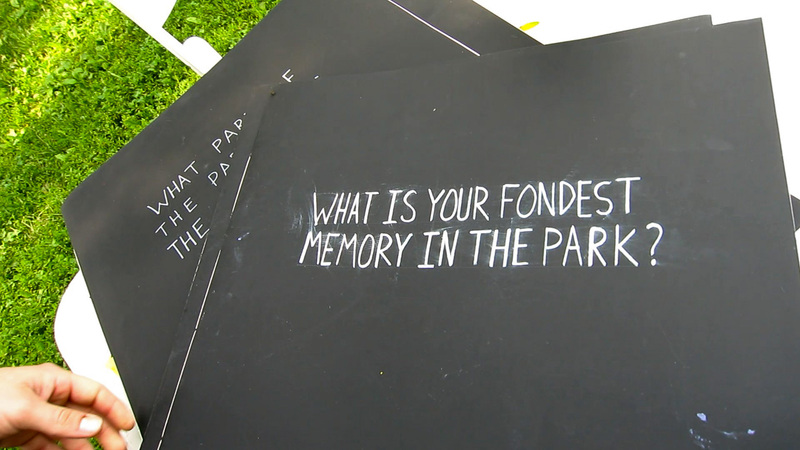 They are finding out what the park needs by asking passersby to draw their ideas into various large sketchbooks with questions on the covers like, “What is the most difficult thing to find in the park?” or “What is your favorite part of the park?” then implement them through the designing and making of signs for the public. 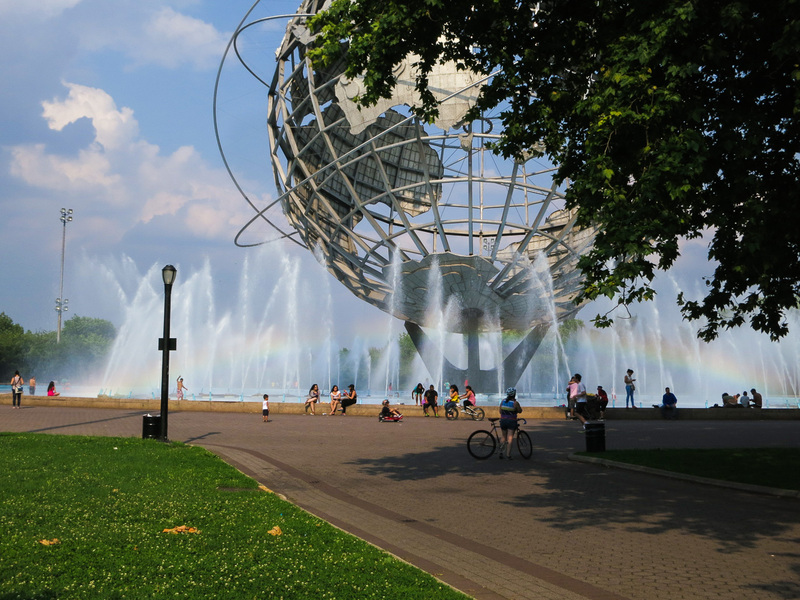 The suggestions ranged from better signage to the bathrooms (we had a hard time finding them too), to putting the rainbow (which shows up every sunny day at the Unisphere from 4-6) on a daily events calendar. 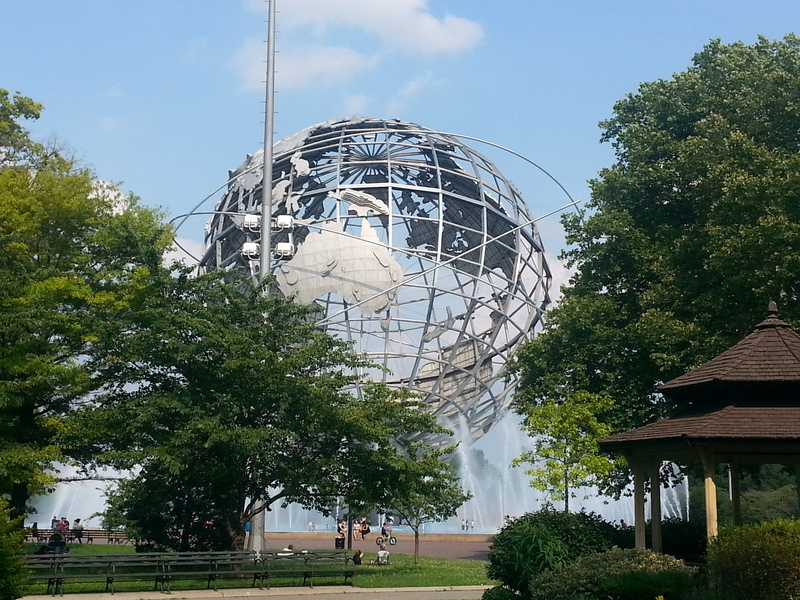 Check out that Rainbow at the Unisphere! A little more background on the key players here. There are two non-profits at work. ArtHome.org (Esther Robinson) and ArtBuilding.org (Guy Buckles). 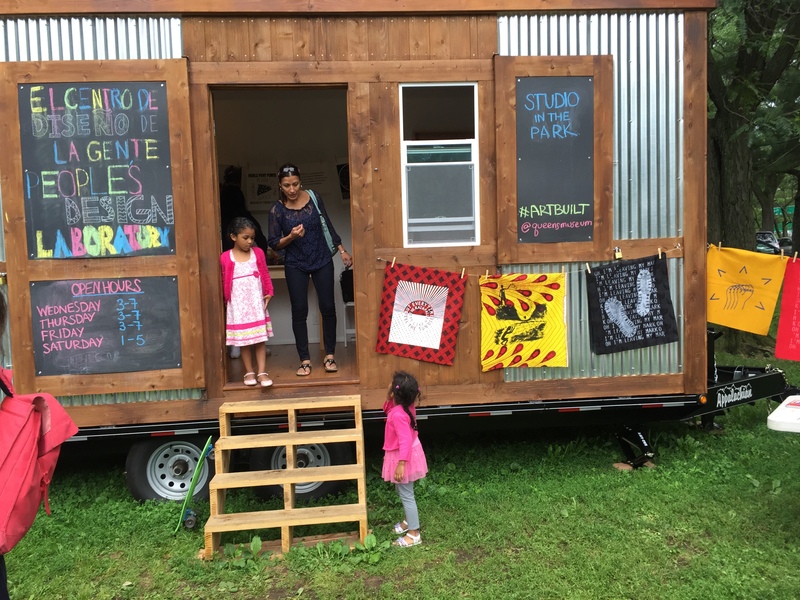 The mobile art studios are a combination of the two and a unique solution for the rising cost of living and working as an artist in NY (and beyond) and they are being used to support dialogue within communities. I think it’s a perfect use of the tiny house movement, embodying some key factors like community, responsiveness (mobility) and sustainability. These can be utilized as urban-infill mobile community centers that can go anywhere and provide services that are most needed to places that most need them. 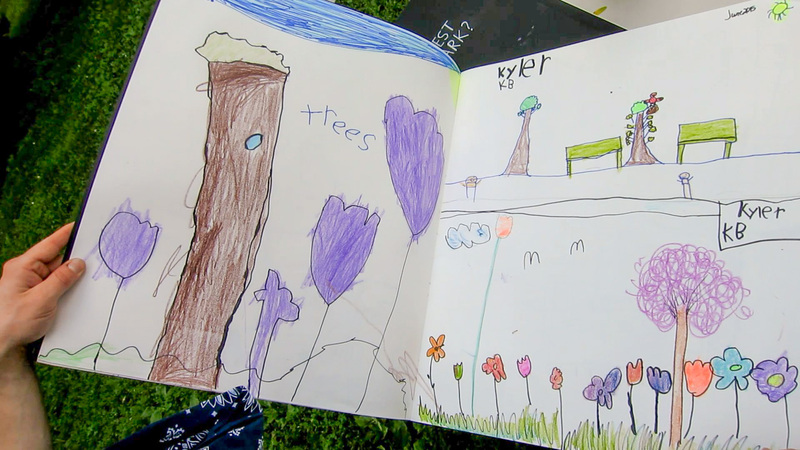 Like creating signs for a park, social service centers, arts-education and beyond. Do you have any ideas for these? How can you see these working in the world? You are not Illegal. Neither are 11 million. Of course I HAD to know the power source! 90% of our photos got deleted, we don't know how, we're very sad about it. We hope the information on this site is still useful. Sorry for the inconvenience. Hi! 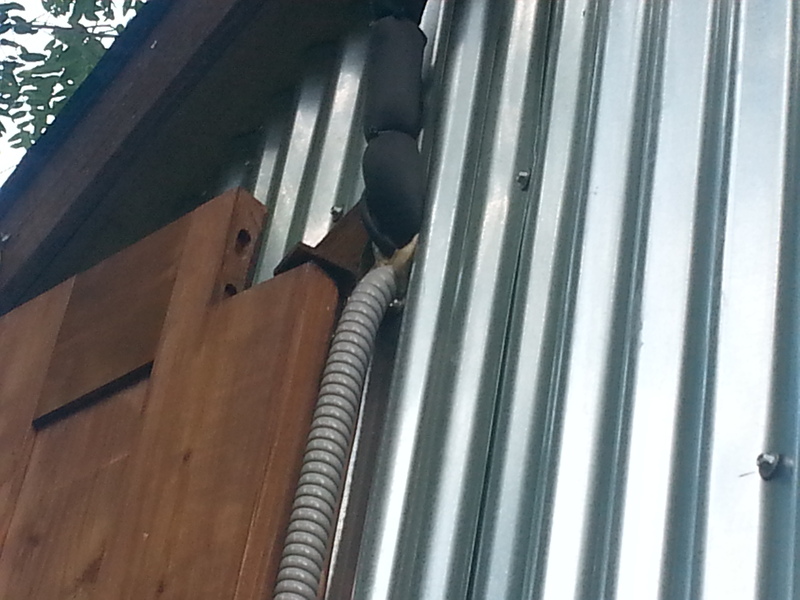 We are Sarah and Joseph and we’re building a tiny, off-grid house on wheels. We want this site to be like the friendly, local bookstore/coffee shop/yoga studio of your dreams–where we all get to meet each other and chat about our latest tiny house finds, our big questions, and the joys and challenges of trying to do this off-grid, off-menu life. add a nail to our tiny house dream!